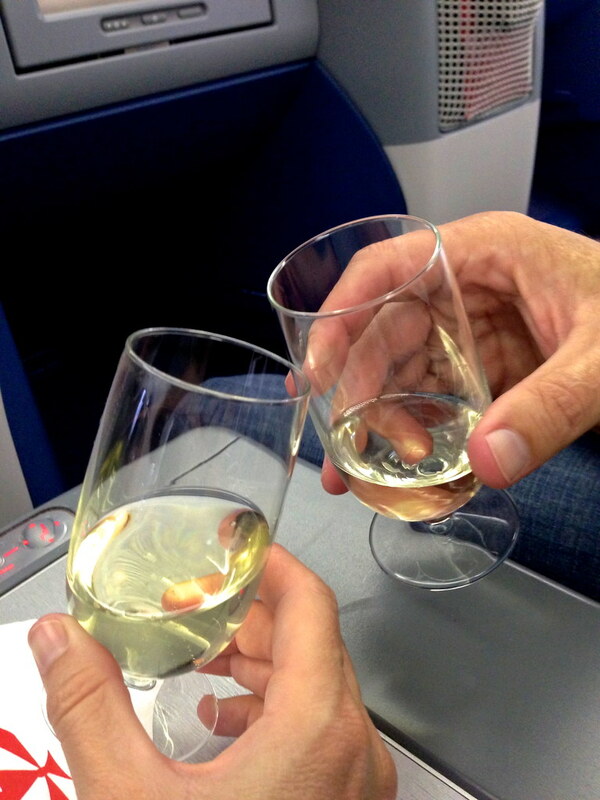 In June 2013, we had a long layover in Los Angeles that allowed us to spend the night in Hermosa Beach. We chose to stay at Grandview Inn, just a block from the beach and a short walk to Pier Ave.
American Junkie was one of the only restaurants on Pier Ave still serving food at 10pm, so that is where we went for dinner. Thankfully, it ended up being an excellent choice! 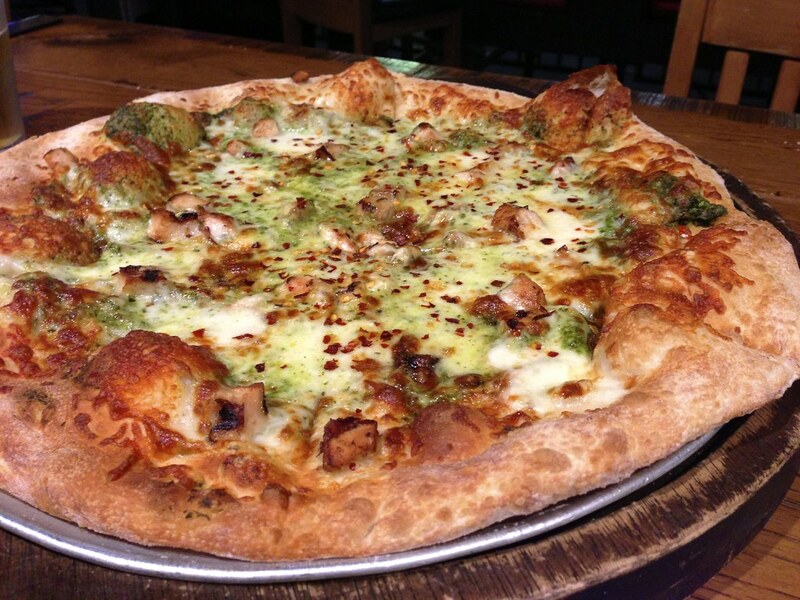 We ordered a Grilled Chicken Pesto Pizza with house made basil pesto, marinated and grilled chicken breast, fresh mozzarella, Parmesan cheese and chili flakes. The pizza was fantastic, the beer was extremely cold, and the service was attentive. The next morning we went to Good Stuff on The Strand for breakfast. The Strand is one of the beach community’s main shopping and eating areas. 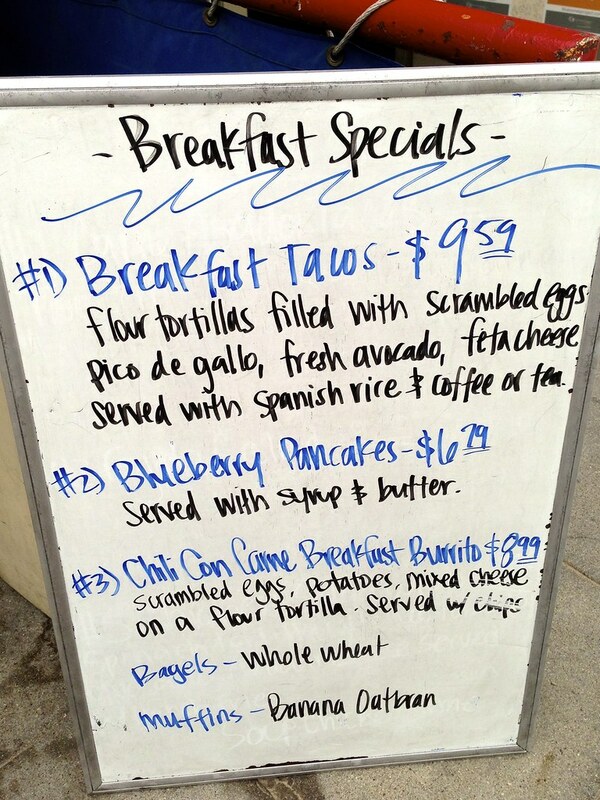 We saw “Breakfast Tacos” on the specials board and we were sold! We can’t get anything close to this good in Florida. Not only is the food at Good Stuff on The Strand tasty, but their coffee is outstanding! 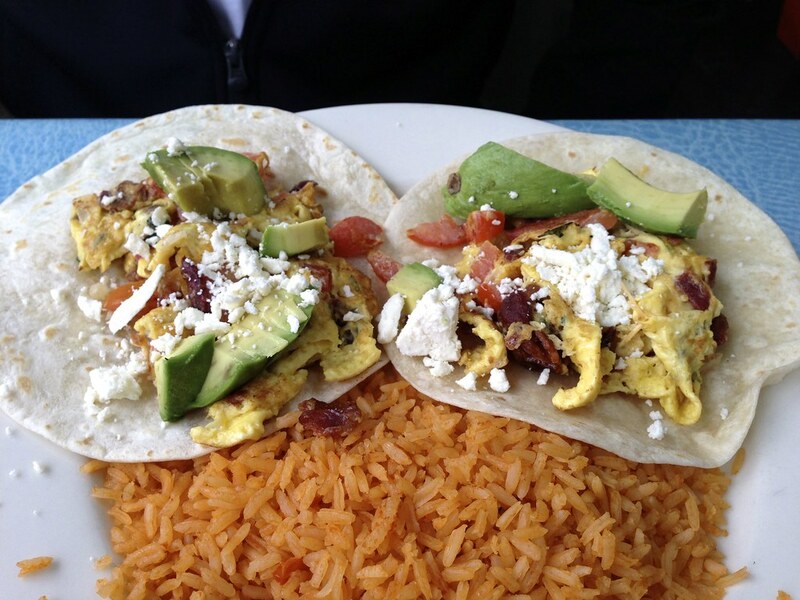 Seriously, when is the last time you ate at a diner style restaurant and said that about their coffee? After breakfast we walked the Hermosa Beach Pier for a better look at the town. 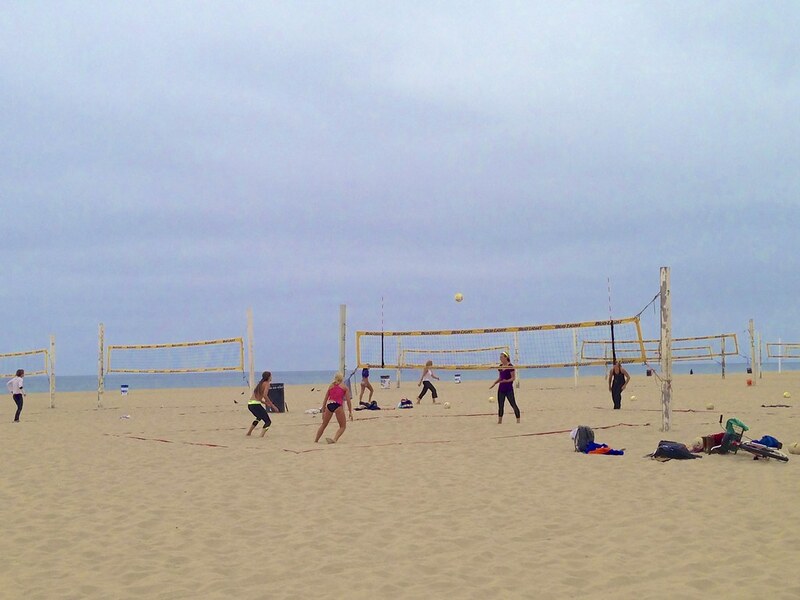 It was a cloudy and chilly day so there weren’t too many people sunbathing on the beach, but there were plenty of volleyball games to watch. After a nap and before leaving for the airport, we ate lunch at Project Taco. 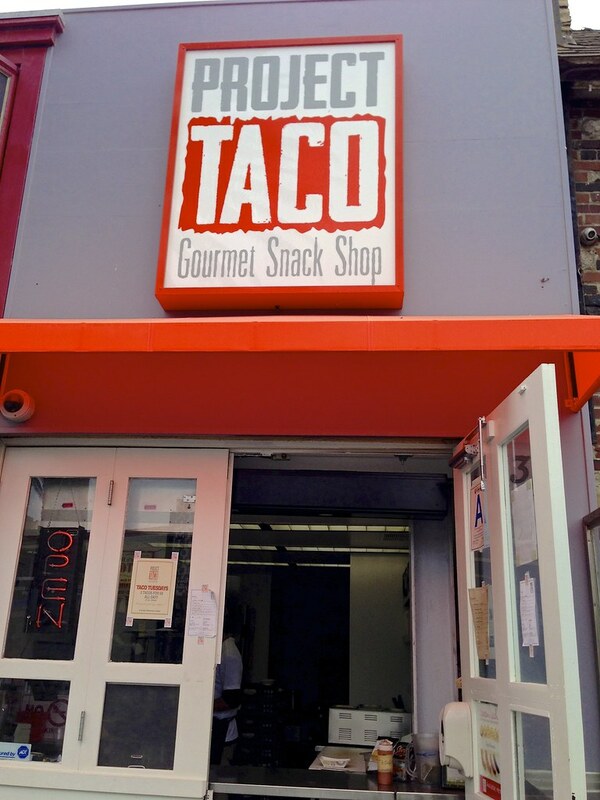 They are also located on Pier Ave.
Project Taco had only been open a couple of months prior to our visit, but they were already making a huge impact on the food scene in Hermosa Beach. 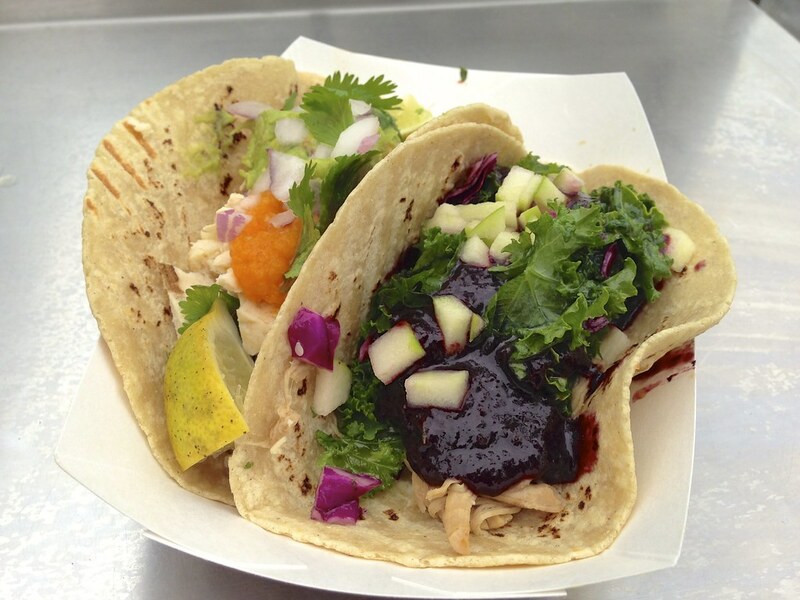 The Blueberry BBQ Taco with tender shredded pork, blueberry sriracha BBQ sauce, and an apple-kale slaw blew me away! 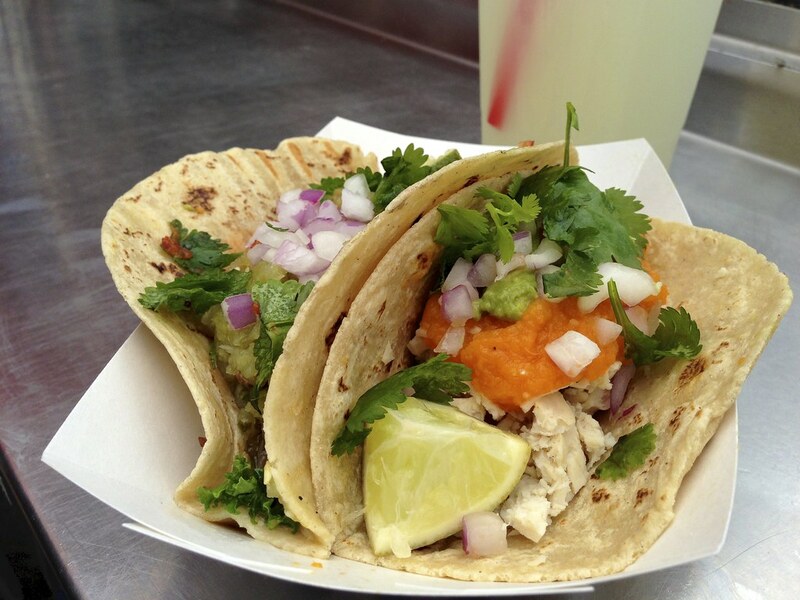 Next up was the Chicken and Avocado Taco with onion, cilantro, guacamole, and pineapple habanero salsa. Holy smokes, this one knocked my socks off, too! 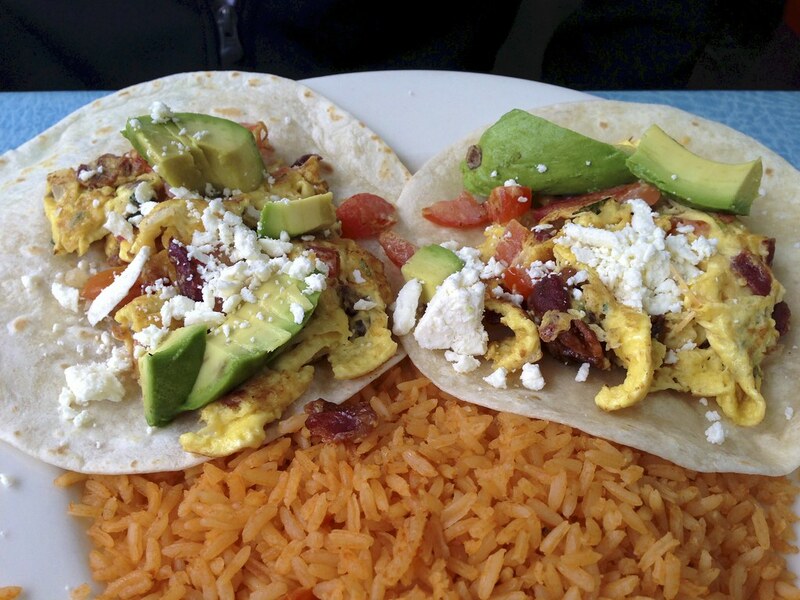 If you are in Hermosa Beach for any length of time, please eat at Project Taco and then contact me. I want to hear every detail. 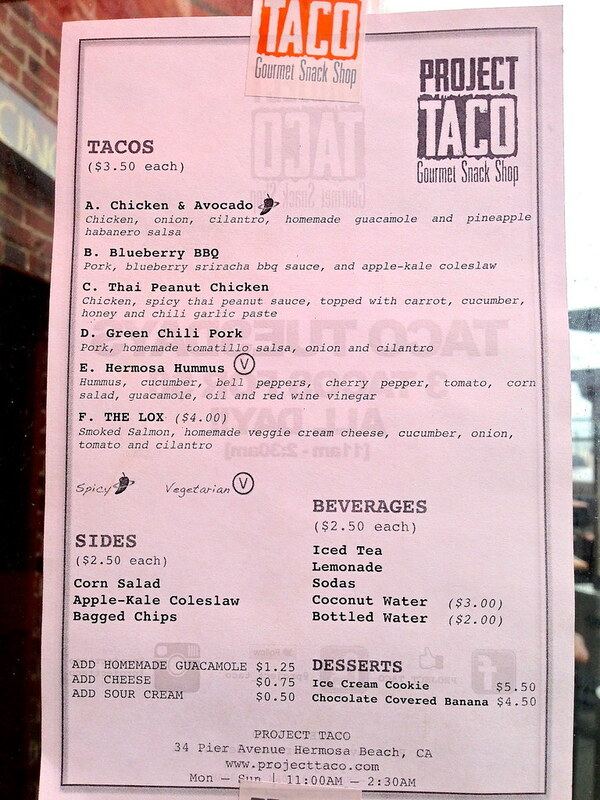 Rumor has it they are going to create a Bulgogi and Kimchi Taco. I might have to book a flight to LAX just for that! 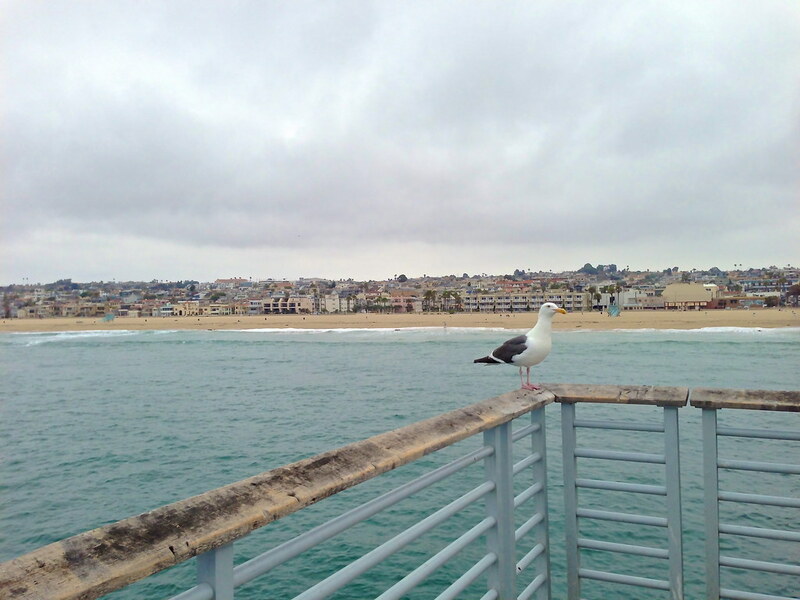 Our long layover in Los Angeles was just under 24 hours and I’m so glad we chose to spend that time in Hermosa Beach. Of course all we did was eat, sleep, and eat again but you didn’t expect anything else from us, did you? One Response to "Eating in Hermosa Beach, CA"
I actually cried because I miss CA. This was one of my many hangout spots with my friends. I, too, live in FL for a year and a half. Moved from NJ, 9 yrs. Hate FL, do miss Jersey.